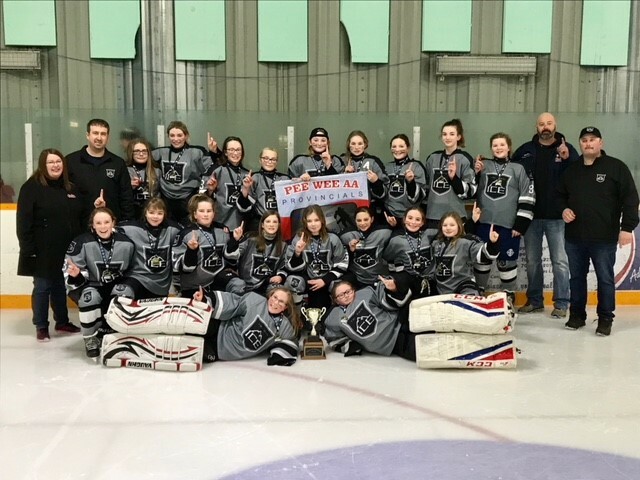 Grand Falls-Windsor, NL- The Tri Pen Ice won the 2019 Pee Wee AAA Female Provincials championships on Sunday in Glovertown after shutting out the Central Ice Pak 6-0 in the championship game. The championship team is made up of the top 11 and 12 year old female players in the Tri Pen region. The AAA Pee Wee is the entry level for high performance female hockey players in the province. 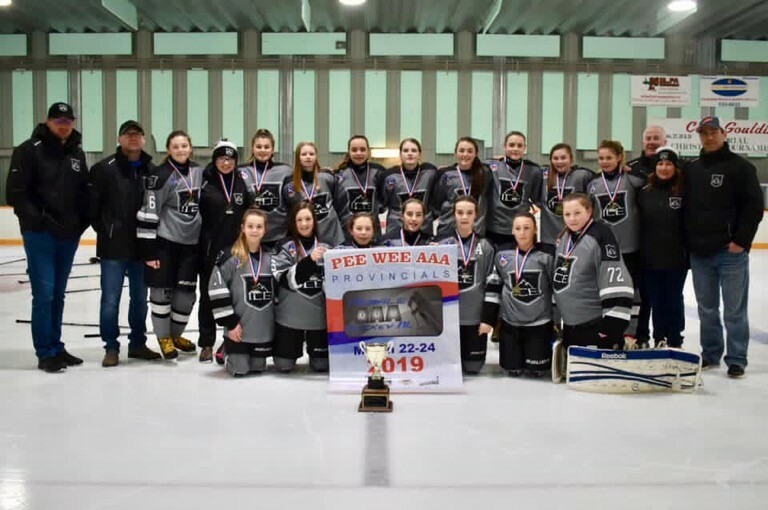 The Tri Pen Ice Pee Wee AA Female team claimed the inaugural Pee Wee AA crown in Glovertown as well on the weekend squeaking out a 2-0 win over the Eastern Ice Breakers. The AA program was introduced this season to assist players preparing for AAA hockey. The provincial tournament featured a total of seven teams. Four teams in the AAA category: The Ice, Ice Pak, Western Warriors and Eastern Ice Breakers. Three teams in the AA event: Ice, Ice Pak and Breakers.